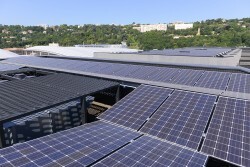 Hikari (‘light’ in Japanese) the mixed-use, positive energy unit by Bouygues Immobilier and by Toshiba was inaugurated on 17 September in Lyon-Confluence. This project was born of a partnership between Lyon Metropole and Nedo, the Japanese public agency that supports innovation in renewable energies and environmental and industrial technologies. Hikari is: A 12,800 sq. 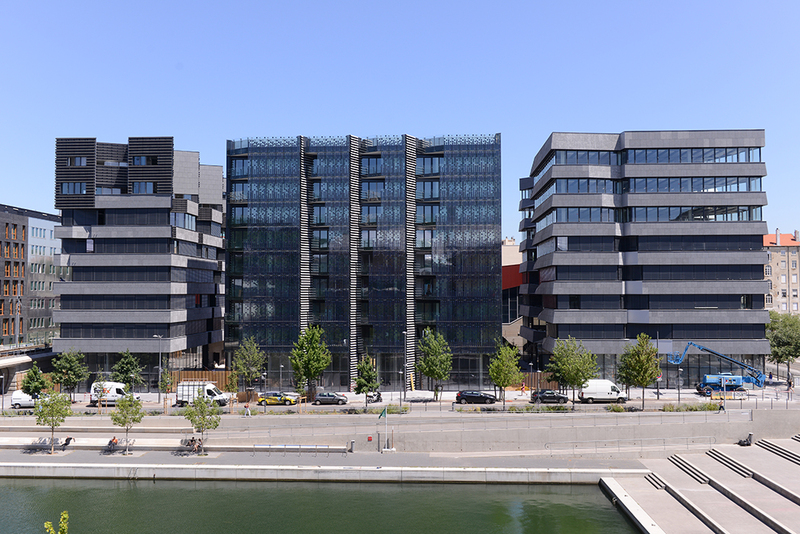 m unit that consists of three mixed-use buildings: offices, shops and housing. An internationally renowned avant-garde Japanese artist: Kengo Kuma. An architectural ensemble that is very contemporary and inspired by nature and the transposition of light and transparency. A completely autonomous unit in terms of energy: the first in France. In other words, over the course of one year it produces more energy than it consumes thanks to its vegetable-oil fuelled cogeneration plant and photovoltaic panels. It also boasts a fleet of self-service electric vehicles. With Hikari, Lyon-Confluence has entered into a new phase of experimentation in Greentech and sustainable development. This also marks the beginning of a new phase in its goal to offer solutions for the city of tomorrow, particularly through its global project Lyon Smart Community.